The best digestive enzymes will not do much good to your digestive health if you cannot stimulate them into activity. They are part of the food we eat and can be found in our bodies, but making them work requires some help. What is the role of enzymes in digestion? Enzymes are natural components found in food and in our body. Digestive enzymes, in particular, can be found in our digestive tract and their role is to break down macromolecules into smaller units to allow our bodies to absorb the nutrients contained in the food we eat. In our body, there are enzymes such as proteases, lipases, carbohydrases and nucleases. Each type of enzyme is responsible for breaking down particular types of substrates in our body to facilitate better absorption and distribution of nutrients. Digestive enzymes are secreted by exocrine glands and these include the stomach’s secretory cells, the salivary glands, secretory glands in the small intestine and secretory cells found in the pancreas. Enzymes are said to be doing their job if they are able to break down what we ingest and convert them into usable materials that are then distributed throughout our bodies. If there is not enough enzyme activity in our bodies, it will be harder to break down the food we eat and the nutrients they contain will not be absorbed or used by our bodies as effectively as they should. Enzymes are particularly important when it comes to animal and milk proteins, since these are harder to digest compared with other food components. Not being able to properly break down food components often leads to digestive problems since these components end up sitting in our gut instead of being deployed as usable materials in all parts of our bodies. Inability of certain digestive enzymes to work properly or the lack of any of these enzymes may also lead to certain other conditions, such as lactose intolerance, which is caused by the lack of the enzyme lactase. The key to making digestive enzymes work well is to have a well-balanced digestive system. Some have claimed that a high-fiber diet can help keep our digestion in good order, but this is simply not enough. The most important thing when it comes to keeping our gut healthy is to have a balanced digestive system and this cannot be achieved by simply ingesting more fiber. We need four important elements to achieve this balance and these are soluble fiber, prebiotics, phenolics and enzymes. In addition, these four should not just be there; they should also work together in harmony to be able to keep a balance in the digestive system. There are tons of digestive supplements in the market today, but only one has the capability to give us the balance that we need. 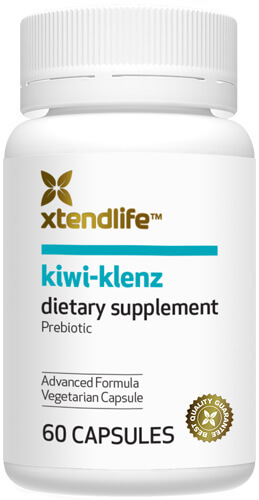 Kiwi-Klenz is a Kiwi fruit-based supplement that contains all four elements. It is different from other nutritional supplements made from Kiwi fruit in such a way that it has been manufactured to maximize the ability of enzymes to do their work. Some products may claim that they can help the best digestive enzymes perform their functions, but most of them do not have prebiotics (as opposed to probiotics) and not enough balancing capabilities to aid enzymatic activities. Digestive Problems: Is There a Natural Way To Treat Them?